Family Law: Am I entitled to have an attorney throughout the parenting coordination process? 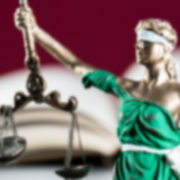 https://tibbslawoffice.com/wp-content/uploads/2011/07/Family-Law-Keyboard-110717-sm.jpg 267 400 TibbsLawOffice https://tibbslawoffice.com/wp-content/uploads/2016/02/logo-300x74.png TibbsLawOffice2019-04-22 18:21:232019-04-19 18:25:04Family Law: Am I entitled to have an attorney throughout the parenting coordination process? Family Law: How do I know who has been trained as a parenting coordinator? https://tibbslawoffice.com/wp-content/uploads/2011/07/Family-Law-Keyboard-110717-sm.jpg 267 400 TibbsLawOffice https://tibbslawoffice.com/wp-content/uploads/2016/02/logo-300x74.png TibbsLawOffice2019-04-21 18:16:132019-04-19 18:21:09Family Law: How do I know who has been trained as a parenting coordinator? 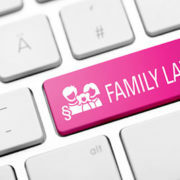 Family Law: Does a parenting coordinator have special skills? https://tibbslawoffice.com/wp-content/uploads/2011/07/Family-Law-Keyboard-110717-sm.jpg 267 400 TibbsLawOffice https://tibbslawoffice.com/wp-content/uploads/2016/02/logo-300x74.png TibbsLawOffice2019-04-19 18:09:542019-04-19 18:09:54Family Law: Does a parenting coordinator have special skills? Mediation: Why might I want to participate in mediation? Daryle C. Tibbs, owner of Tibbs Law Office, begins a new series dedicated to the topic of Mediation. https://tibbslawoffice.com/wp-content/uploads/2011/07/Misc-Lady-Liberty-110717-2.jpg 591 1253 TibbsLawOffice https://tibbslawoffice.com/wp-content/uploads/2016/02/logo-300x74.png TibbsLawOffice2019-04-06 16:19:082019-04-06 16:19:08Mediation: Why might I want to participate in mediation? Mediation: How does mediation work? https://tibbslawoffice.com/wp-content/uploads/2011/07/Misc-Lady-Liberty-110717-2.jpg 591 1253 TibbsLawOffice https://tibbslawoffice.com/wp-content/uploads/2016/02/logo-300x74.png TibbsLawOffice2019-04-06 16:02:562019-04-06 16:02:56Mediation: How does mediation work? https://tibbslawoffice.com/wp-content/uploads/2011/07/Misc-Lady-Liberty-110717-2.jpg 591 1253 TibbsLawOffice https://tibbslawoffice.com/wp-content/uploads/2016/02/logo-300x74.png TibbsLawOffice2019-04-06 15:44:032019-04-06 15:44:03Mediation: What is Mediation? Family Law: In this video, Jordan A. D’Addario sits down with Emmi Abel-Rutter for #Justatiptuesday to discuss Prenuptial Agreements. Family Law: What Terms can I expect in a Parenting Coordination Agreement? https://tibbslawoffice.com/wp-content/uploads/2011/07/Family-Law-Keyboard-110717-sm.jpg 267 400 TibbsLawOffice https://tibbslawoffice.com/wp-content/uploads/2016/02/logo-300x74.png TibbsLawOffice2019-03-12 19:19:042019-03-12 19:19:04Family Law: What Terms can I expect in a Parenting Coordination Agreement? Family Law: What is the purpose of screening parenting coordination? https://tibbslawoffice.com/wp-content/uploads/2011/07/Family-Law-Keyboard-110717-sm.jpg 267 400 TibbsLawOffice https://tibbslawoffice.com/wp-content/uploads/2016/02/logo-300x74.png TibbsLawOffice2019-03-12 19:09:402019-03-12 19:09:40Family Law: What is the purpose of screening parenting coordination?